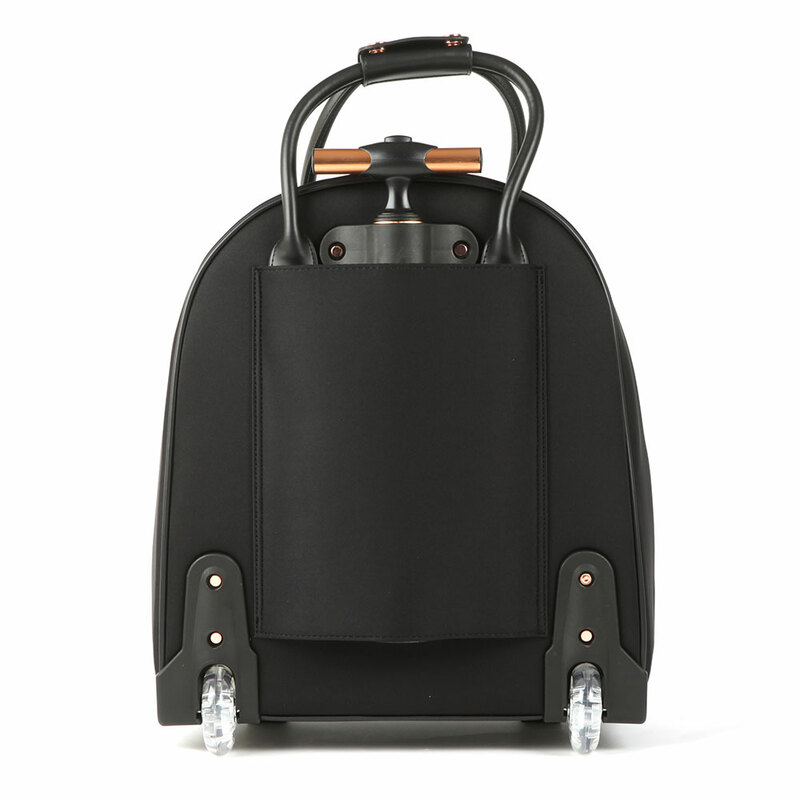 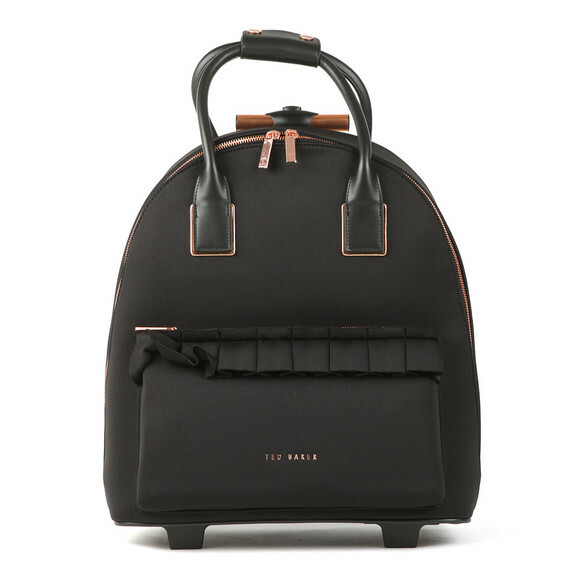 Ted Baker Radella Ruffle Travel Bag in 'black' is a small suitcase, perfect for weekends away! Formed in a classic black design with ruffle detail to the front pocket and finished with a striking rose gold zip closure and raised branding. 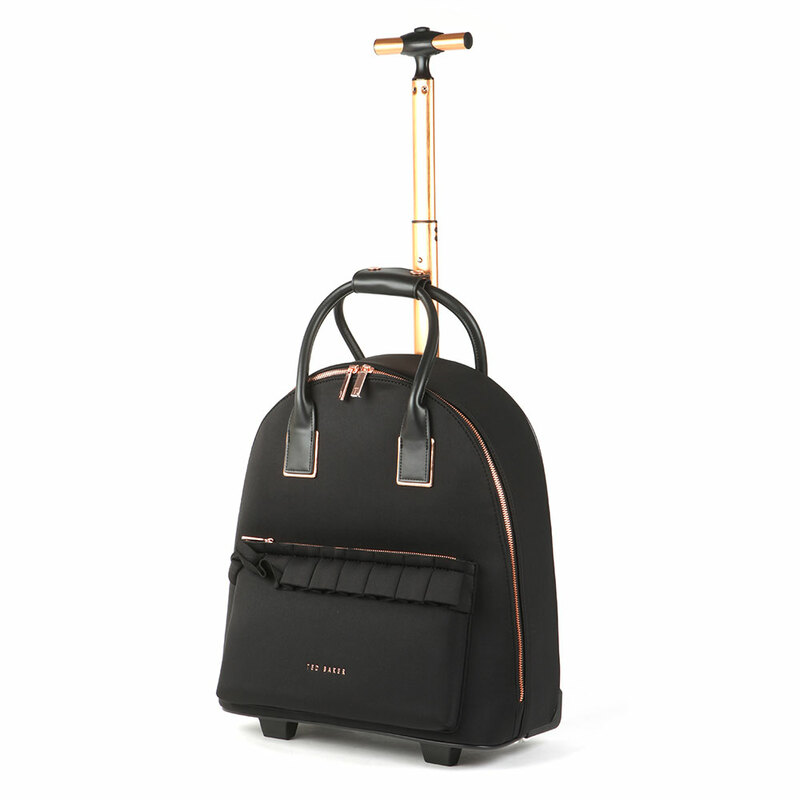 Use the short twin handles or long metal pull-up handle when wheeling on the commute!